A year on and I’m pondering about being ‘out there’… There was a time, when I lived in a structured world of work, rest and play. I was defined by my routine, by doing my work – getting a sense of significance from it, sometimes satisfied by it, sometimes stressed. And after work I would fill my time and my head with friends and social situations and other distracting stuff. And now here I am… Strange times… Strange times..? Strange times!!! I work, still, in the corporate world from time to time, I coach my own clients to achieve their dreams and goals, I run my own women’s group, as part of the sisterhood of Damsels in Success. And more than that, my first book is all about my inner and outer life, my own iselfish sharing stories of my journey from day, to thought, to year, to who knows where. And one thing I have learned about life, is that I have to learn my lessons again and maybe again. So, right now I have been shortlisted for a Coaching Award, as Women’s Coach with the Association of Professional Coaches, Trainers and Consultants (APCTC). I have already been nominated a times in the past few years for these awards, so really was gratified, but not attached when I received my 3rd nomination this year. Then, to my surprise – nomination changed to shortlist and shortlist is decided by a public (online) vote. So I am out there again – asking, sharing, daring to say this is who I am – please recognise and support me. It has frequently been uncomfortable, getting out of my comfort zone – waving and pointing and requesting. Then again discomfort is more than recompensed by the good wishes, and happy acquiescence. I have had so so much to be thankful for, to so many people. And I have gorgeous coaching clients, in all the spheres I work in, who know they have so much to give, have a craving to share and yet, something holds them back. So we have to learn to shine our light out into the world. If we don’t shine, who will see, who will know, who will be touched or changed and who will stay in the darkness??? Let’s take this a step further – where is your sense of significance? Is it in waiting for someone else to say, ‘yes you can?’ or is it time to listen instead to a deeper calling to make a difference? Really – only YOU know the answer to this, but to know, you have to go out there, to do, to speak, to act – to trade your gifts with the world. So here is the thing – if I win, that will be truly amazing. If not, then I won’t be crushed. I put myself out there, I pushed through the discomfort, I asked and I have been rewarded over and over in positive responses. I have learnt and I have grown and I have shown the way to any one else who wants to see the possibilities. Conquer Your Inbox and have more time to do what you Love in February! So it is an absolute necessity for me to get supported and organised. Rather than get overwhelmed, I am focussed on asking for support and delegating where ever I can. And when it comes to being more organised, at times like these, dealing with emails can either feel like they are eating into my precious time, or being guiltily forgotten whilst they continue to breed, mushroom like, in the darkness of my ignored Inbox! I am delighted to announce therefore that the guest speaker at my February Damsels in Success event, is email expert and overwhelm banisher – Kate Gerry of http://www.kategerry.com. Opening your Inbox makes every day feel like a to do list that you didn’t get round to yesterday? Your workflow keeps on being interrupted throughout the day by a constant barrage of emails? You are constantly worried about missing (or even worse, losing) important emails coming in? You have EVER spent a Sunday trying to catch up ready for Monday morning..? If you would like to get cleverer with emails, then join us for our next meeting, where Kate will show you her strategic steps to keeping your Inbox clear for good – in less than 30 minutes a day! 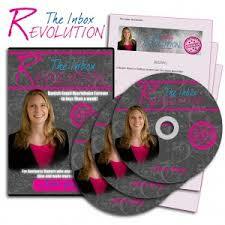 The top 3 reasons most business owners don’t keep their Inbox clear and what to do so you never get caught out again! The Number 1 secret that will give you more time with your family and your weekends back instantly! How to use your Smartphone to stay organised – instead of ruining your day when you get bombarded with a whole heap of emails hitting your Inbox! So… to discover a fun, easy way to cut through your email overwhelm, spend less time in your Inbox and more time focused on the things you love, simply book yourself onto our guest list here to join us for our February meeting, on Wednesday 19 February, in Ashby de la Zouch, at 6.30 pm. Well, February IS the Valentine month, so let’s spend it doing more of what we love!